I just wanted to share this months canvas art with you. I really enjoyed this months challenge. Donna is sooo very good at walking you through the class. This month I felt like everything was new…so different to card making and working with inks and stamps. This is an absolute stunner Dot, The colours are just gorgeous and the painty effects look wonderful. Such vibrancy and life on your canvas. Such a depth of colour and texture Dot. This is just amazing. Looks like you are loving your class. Wow!! This is amazing with all the splashes of color! What a great class!! Have a lovely Friday! 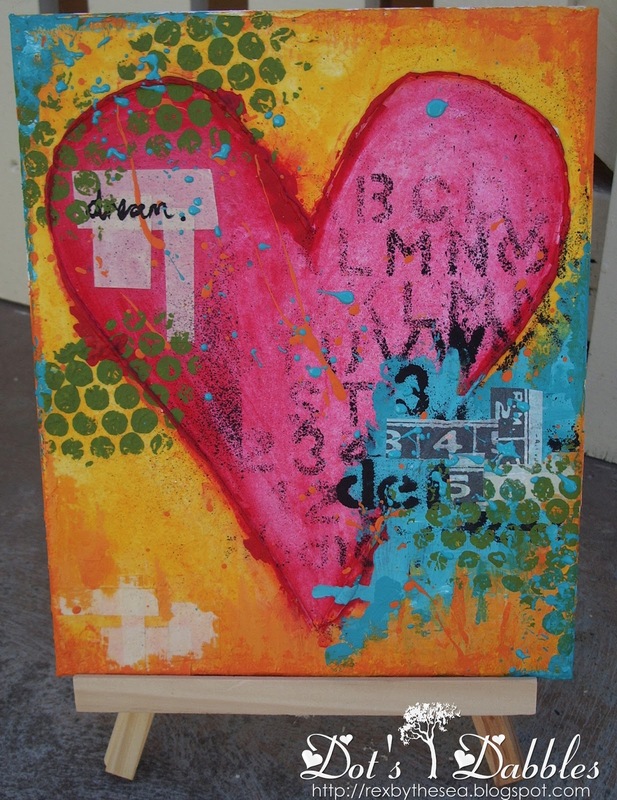 Wow, love your canvas and the bright colours. A wonderful canvas, love the bright colors. Wow, Dot, this is gorgeous and looks sooo fun!!! This is truly gorgeous Dot it's just fabulous when you really enjoy what you are making and you obviously loved every minute when making this fabulous canvas.